Blowers and fans are used in almost all industries. They provide adequate amounts of primary and secondary air. Flue gas fans remove air containing dust, gases and harmful substances. In primary air zones, induced draft fans are used in scrubbers, dust collectors, heat exchangers and desulfurisation plants. Bearing and sealing of fan drive shaft is normally done by means of a pillow block housing or a bearing unit. These must be permanently supplied with the specified amount of the right lubricant. Blowers / fans are normally operated under extreme conditions. Contaminants such as dust or pumped media are raised and may infiltrate the bearing system. This causes increased wear in individual components and reduces service life. Regular lubrication of bearings and seals is imperative. Lubrication points are often extremely dirty and hard to reach, which makes maintenance even more difficult. Specified lubrication intervals are neglected or not observed for this reason. 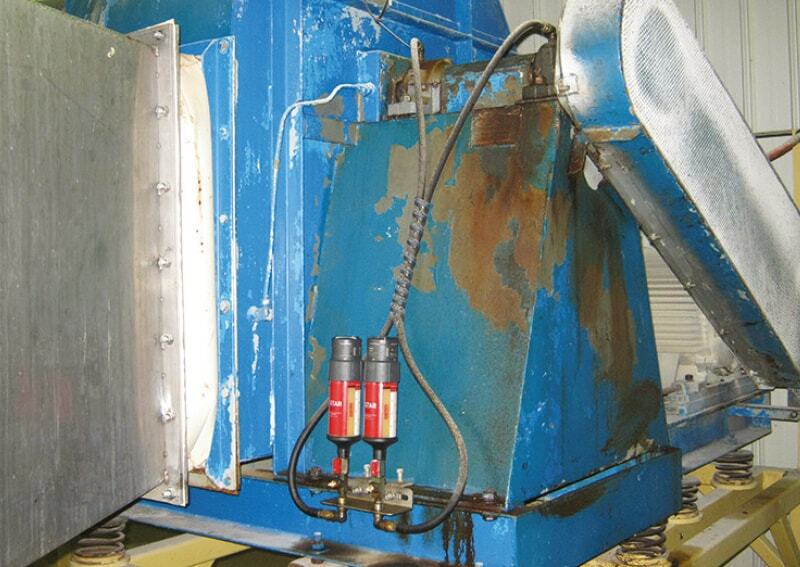 The resulting lubrication starvation leads to increased wear and in extreme cases to failure of the blowers and fans.